I really love the visual treatment of this scene. The second course of Mawaru Penguin Drum starts off in a very somber mood. In episode 13, the revelations continue, something is given, and something is taken. The punishment of the Takakura family is unabated. While the hospital drama takes a bizarre turn, we finally get filled in on how the Takakura family was broken up, three years ago. The emotional story of how their parents were taken from them, and the threat of a price to be paid to Sanetoshi, overshadow what might have been the happy story of Himari’s resurrection. It might be difficult to see, but Tabuki's hand still has scars on each finger, as if they had been severed and re-attached. 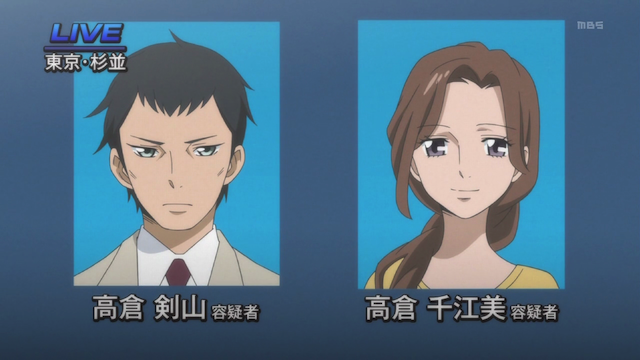 The weight of the revelation that the Takakura siblings’ parents were responsible for the terrorist attack (and, therefore Momoko’s death) is carried forward by Ringo. She questions what she should feel, and regrets ever learning this particular truth, but Tabuki convinces her that it must have happened for a reason. 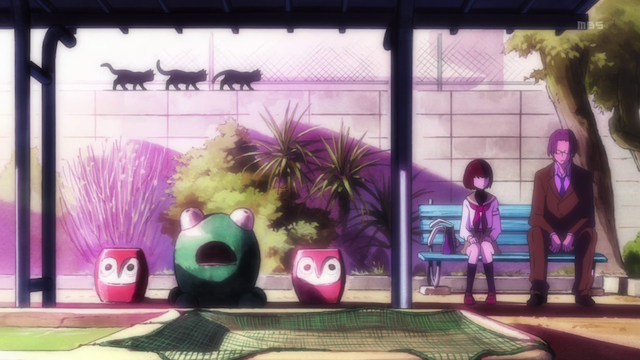 This scene had a credibility to it that was quite enjoyable. Both of them were hurt in some way by what happened, but it is difficult to consider vengeance, or even anger, especially towards the children, because they were not at fault. And yet the knowledge that they are connected so intimately with Momoko’s killers is disconcerting. Ringo even cries as she wonders if she is a bad daughter for not wanting to take some sort of revenge on behalf of the pain that her parents suffered. In this episode we get both monologues about fate: the “I hate fate” version (spoken by Shou), and Ringo’s “I love fate”, which, despite being spoken by Ringo again, seems to have a very different meaning. The first time Ringo delivered this speech, it seemed frivolous, even childish, because we didn’t yet understand her obsession. This time it resonates with her encounter with the Takakura siblings instead of her devotion to Tabuki. Emotionally it shifts from hopeful to consoling. 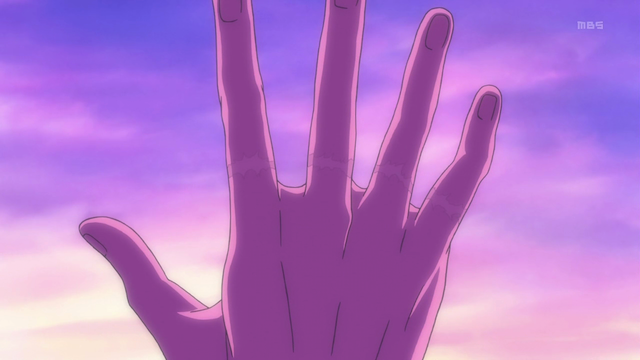 I don’t know what is going on with Tabuki’s hand, but I think they showed the scars on his fingers for the first time in the flashback last week, and this week they showed them in a flashback (from that same day) and again in the present day. Does this mean there is something more to Tabuki than we have been told? Another reason that this episode seemed sombre was that the first ED, Dear Future, has been replaced with a new ED, Gray Wednesday, that is sadder and slower. I wonder what the significance of this sadder ED is. Are we heading towards a dark ending? Man, whenever I feel like I’m getting a basic grasp on this series, it throws in things to confuse me again. There’s just so many intricate layers and complexities to this series that it’s just mindboggling. 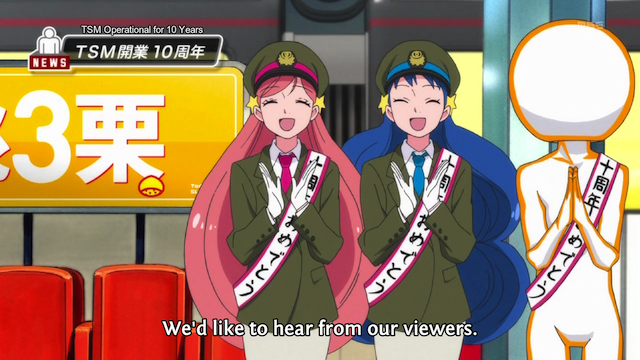 But hey, it’s a pretty awesome show, especially these last two or three episodes. All this drama with Himari has been awesome. Yes, it certainly boggles my mind. I am pretty impressed that the show really has a plan for where it is going. Sometimes confusing things and symbolism can be thrown around indiscriminately, but so far there has been every impression that the things we have seen really had some meaning behind them.